I am pleased to announce the arrival of the long-awaited MEMORIAL WEEKEND WITH BINDY PICS. I think the weekend is pretty much summed up here. No need to go on about it. Except where is Bindy and her beach outfit? And where's Taryn? And Sofia? And Hannabelle? 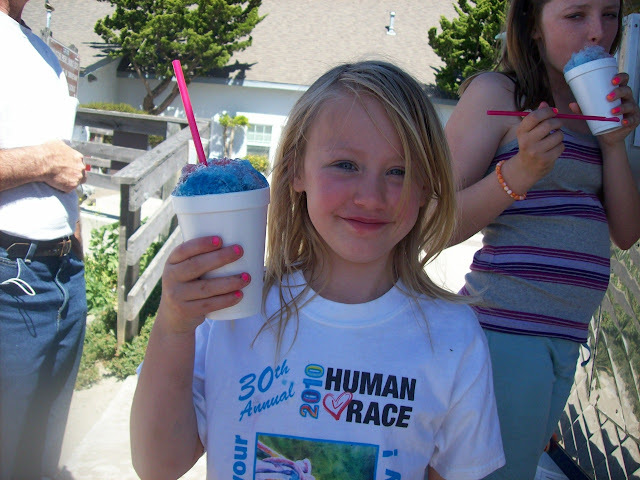 I should say the first picture documents Daisy's first snowcone ever, according to her. She was pretty happy about it. Is that you in the blue shirt? That picture is full of win.